Mr. Carl Brown has held executive and leadership positions in a variety of industries in the private and public sectors. 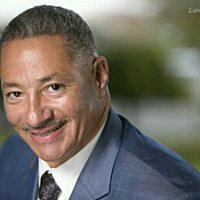 He has been called a “Transformational leader” by Earl “Butch” Graves, Jr., publisher of Black Enterprise magazine. Mr. Brown has over two and a half decades of experience; he currently is a Supervisory, Contracting Officer for the District of Columbia, and prior to that he was a small business counselor at the Howard University Small Business Development Center. Mr. Brown served five years as the Executive Director at the Center for Minority Business Development. His previous work history includes: Manager for Business Development, DBE Programs, Director of Civil Rights, and Acting Assistant General Manager for the Washington Metropolitan Area Transit Authority (WMATA); Senior Contracts Manager at Verizon Communications; Director of Human Resources at Pepsi-Cola of Washington; Senior Purchasing Agent, Maryland National Capital Park and Planning Commission; and as a Procurement Specialist at the U.S. Patent and Trademark Office. Mr. Brown is a visionary who uses his gifts to help empower the minority business community. He recently received a certificate in Government Contracting from George Washington University; has a certificate as a Contract Compliance Administrator, (CCA), from Morgan State University. He earned a MGA, from University of Maryland University College; and a B.A. from Howard University; a Masters Certificate in Human Resource Management from University of Maryland University College; and a Certificate in Leadership Development from the University of Maryland Executive Leadership Institute. Mr. Brown is the recipient of numerous awards and citations for his work in the community and with minority owned businesses. Married to Evelyn Brown, they have twins, a son and daughter who have been on the honor roll every year and both are involved in scouting.